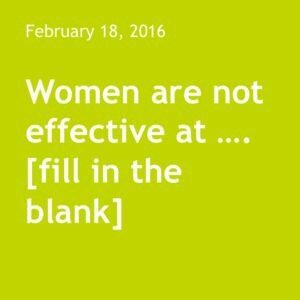 Women are not effective negotiators. They don’t think strategically. Women need to network. Heard it before? 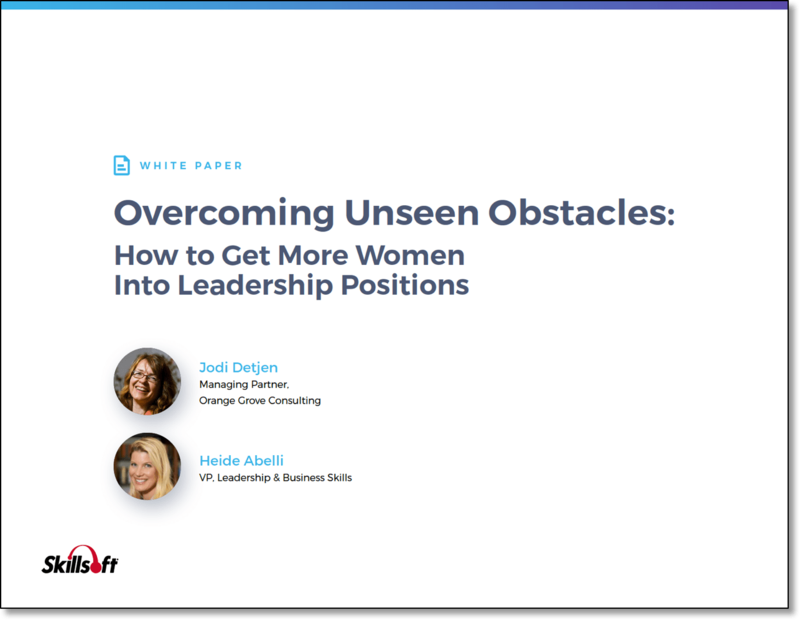 The subtext is that women aren’t quite ready yet for leadership. They need to get some training or mentorship to help them. And the message women hear is clear: I’m not good enough. The result? Women don’t put themselves up for promotion as much as men. They wait until they think they are 100% ready before they think they are ready. They take fewer risks. Your talent pool for leadership is smaller. How do managers react to these beliefs? We offer more training. We create mentoring programs. But we don’t push or ask women to take on challenging assignments to help them grow. Many women do need skills training but it’s not in the way you think. Let’s take negotiation. Women out-negotiate men when they negotiate for the company. It’s when they negotiate for themselves or their team, they hold back. Or take strategic thinking: women excel at seeing the big picture but they are usually so busy getting things done that they don’t have time to have the conversations that put them in the position to impact strategy. Or take networking: women are natural relationship builders but the pressure they feel to network incessantly blocks them from determining how to more strategically build relationships that will help them achieve their objectives. Managers of women need to keep the long-term in mind. Think about how much value she will add as a leader if you can retain her. Keep on challenging her to shift her mindset and grow her skills. Think about a skill you’ve struggled to build effectively. What is your mindset about your ability to succeed at this skill? How might you think differently about your capability? How might you leverage your strengths to help you? Jot down your thoughts or share your insights here.